The MS client made her appointment by telephone. The client felt the booking process was very professional and well managed in a very friendly manner. The client asked for a specific time for the appointment and was given a couple of choices of days and she was able to be accommodated at the time of her choice. The client was asked to arrive at the salon 15mins prior to the appointment to fill out a consultation form; this was also very professional and appreciated by the client. The client arrived to the salon 15 minutes early as instructed. She was warmly welcomed and asked to take a seat. Here she was offered refreshments and ask to fill in the consultation form. The client was then guide around the salon and this was viewed as a very nice touch. The client was introduced to the stylist, and immediately she felt confident and relaxed with the stylist. The client loved the detailed consultation, and was also impressed by the amount of time spent on asking her about her requirements and then she was given suggestions, which the client loved. She also felt there was time taken to correctly match her existing hair colour to enable her colour results to be right. The client also commented on: “The salon appearance was very clean and uncluttered. The salon display of their Aveda products was very comprehensive.” This gave me a lot of confidence in the early stage of my service. The client overall rated the total service as fantastic! The salon team took the time to explain fully each step in the colour, shampoo and the styling process, along the way ensuring the client was comfortable and happy with everything. The highlight for the client was the Aveda products, she felt they had a lovely perfume and the salon team’s knowledge of the product was impeccable. The client felt the salon was presented beautifully. 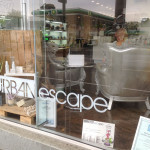 She noted there had been a lot of thought and passion had been put into the décor and the entire look and feel of the salon. The client loved the big long full length mirrors and the very comfortable chairs. The garden area was a highlight and a wonderful fit for the salon. The salon felt and looked very clean and very hygienic. It was warm and comfortable as well. The client loved her final result from the finish of her hair style to the entire service levels of the salon. The client left the salon extremely happy. She commented that the team were friendly and attentive, and the salon was nicely fitted out with an excellent use of space, light and function. The client felt there was a great understanding of the Mystery Client program and the voucher was managed very professionally. In this section we look at the overall experience of the client’s service from the booking of the appointment to the final farewell. The feeling from the client at the end of the service was 10/10. Value for money of the service was 10/10. Would you be likely to recommend the salon to family and friends was scored 10/10. Well done these are all very positive areas in the business and for customer service. The stand out feature for the client was the salon team. The spirit was caring, highly professional, very friendly and technically very skilful throughout the entire experience. The client also loved the shoulder and neck massage when she sat down and found it to be relaxing and an excellent point of difference as she had never been offered this service before. Congratulations on a wonderful result with the Mystery Client report. It is very clear the standard of the salon, the salon functions, the team spirit and the level of customer service is very high. Well done as l do realise there is a lot of time and energy spent in running at this level. The overall approach is very holistic and it is a real stand out. The level of service and attention to detail is very much noted and is rewarded with an excellent report. 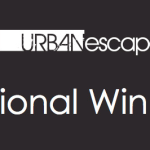 Well done to the entire team at Urban Escape! The result is fantastic and one l believed should be celebrated and enjoyed by the entire team!!!! My recommendations is to keep on with what you are doing and continue training in your systems and customer services approaches as they are working so well! The technical side of the business is also strong so keep on with what you are all doing! The salon has achieved great results, from the Mystery Client Report. With the combination of the on – line assessment and these results l am very happy to recommend the salon as a Silver Salon Select member. I would strongly recommend you start the GOLD checklist. I will action the salon decal to be sent and l would love a photo of the salon and the team proudly displaying the achievements which l would post on the AHC Facebook page. If you have any further questions please let me know and again from me well done! For further discussion regarding this report, please contact your Mentor. As an AHC salon seeking Silver or Gold Accreditation, you have agreed to participate in the Salon Select program, including the visit of a Mystery Shopper . The report above is designed to assist you in making decision regarding training and setting targets for your salon team. All Mystery Shopper responses are views held by the Mystery Shopper and do not represent the views of the AHC or your Mentor. Should you have any concerns about your Mystery Shopper report, please contact mysteryshopper@salonselect.com.au.